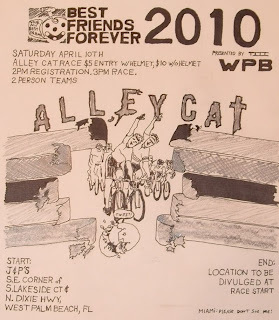 This is a "2 Person Team" alleycat race hence the "BFF" title/theme. It's best if you show up with a friend, otherwise you will probably be paired up with a stranger. $5 entry per participant. $10 w/o a helmet. 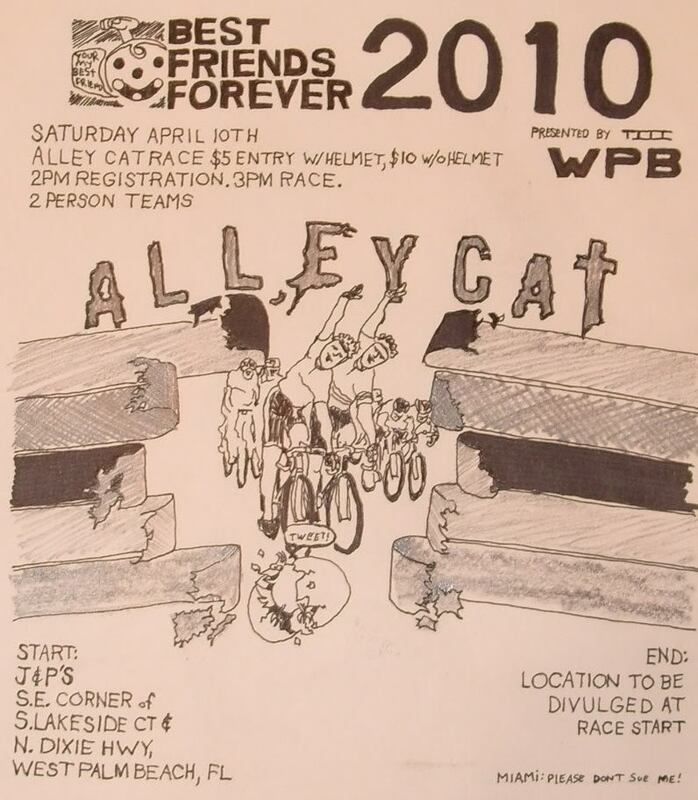 wow, that's a really original flyer. not.